When it comes to looking after any senior loved one, one of the biggest responsibilities that you have is making sure that their homes or living quarters are as safe as possible. This is a big responsibility, and something that should never be taken lightly. Most senior falls actually occur inside the home, in a place where the senior felt comfortable and confident. Many times, slippery surfaces, clutter and poor lighting are all to blame when it comes to slips and falls. This is why it is so important to know how to improve the lighting in your loved one’s home. Proper lighting is essential to your loved one’s home and can be a major help when it comes to avoiding falls inside the home. The good news is, lighting changes are rather simple, even though they leave a big impact. Here are a few ways that you can change the lighting in your loved one’s home quickly and easily so they can enjoy the safe space that they deserve. You should always start by doing a general walkthrough of your loved one’s home while paying close attention to the level of ambient light around the home. Look to make sure there is not only enough light, but that the light is bright enough to see. You can change out bulbs, add new lamps and attach standing light fixtures to the same switch all to make sure it is easy for your loved one to keep their home bright and well lit. Falls can happen anywhere at anytime, which is why it is so important to make sure that the entire home is lit as it should be. However, there are also additional high-risk areas that are even more likely for falls. These are in the bathroom, narrow hallways, and along staircases. Make sure that these areas have enough lighting, even if it means adding plug-in night lights in these difficult-to-light areas. These danger zones are so high-risk not only because they often require seniors to maneuver in difficult ways, but because they are hard to light as well. This is one area of the home that is often forgotten. Whether it is a tool shed, a desk on in the kitchen, if there is an area of the home where your loved one does work or other projects, you want to make sure that it is well-lit and easy for them to see so accidents don’t occur. These are areas where seniors often have to strain to see or pay attention and can actually have major safety issues. When a home is not properly lit, it can make it quite difficult for seniors to see, especially if they have ailing eyesight. Poor lighting is one of the easiest safety fixes in the home, yet it is one that often goes unnoticed. 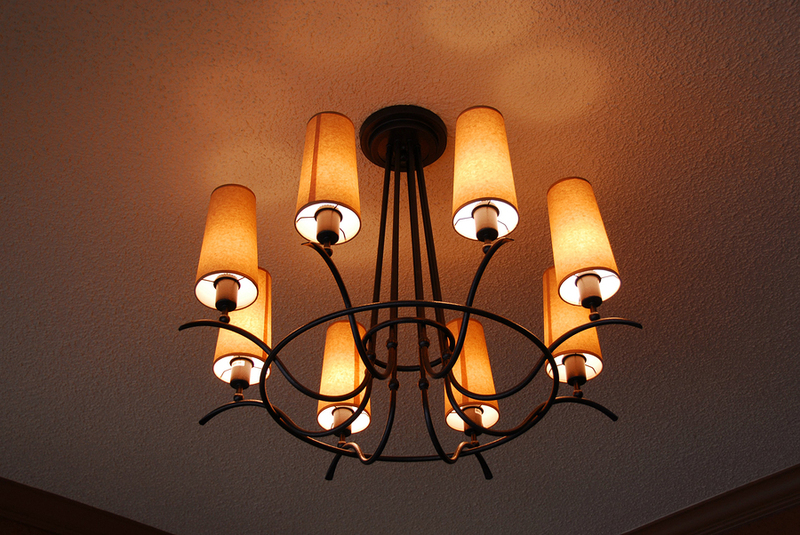 Keep these tip in mind when it comes to improving the lighting in your loved one’s home. While removing clutter and installing safety railings throughout the home are all important steps for your loved one, changing the lighting is another great step to ensure that every area of their home is safe for your loved one. Seniors are often at risk of falling mainly because of the darkness in the house or excess clutter. Thanks for sharing the blog on senior safety. It is also important for families to warn their elder loved one about any potential risks. Thanks for sharing the blog.